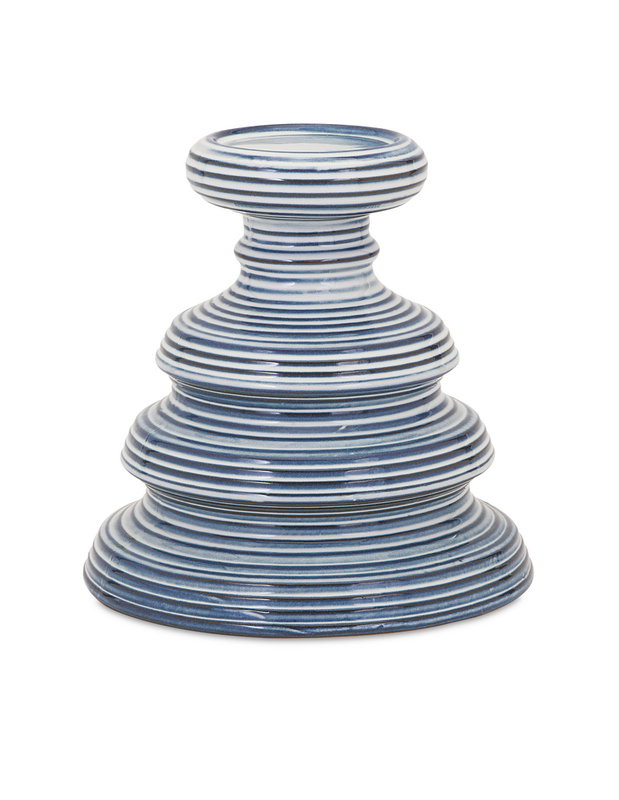 Im with the band: Striped, tapered ceramic candle holder takes blue-and-white for a spin. Our products are designed to meet your needs. Our designers and product development team push creativity, taste, and fashion trends layering styles, periods, textures, and regions of the world to create a visually delightful and meaningful environment. We believe style, integrity, and great design can make living easier. 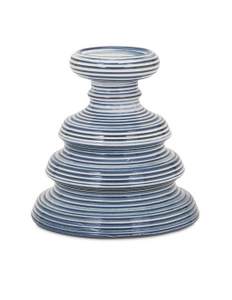 World To Home carries one of the largest collections of high quality accents for home and garden you'll find anywhere! Featuring talented designers like Becky Fletcher, Carolyn Kinder, Beth Kushnick, and Ella Elaine. © 2019 Unique Home Decor Accessories & Luxury Home Décor Accents by World To Home.com, All Rights Reserved.